Bollywood actress Kareena Kapoor performs during Saifai Mohotsav. Bollywood actress Soman Kapur performs during Saifai Mohotsav. 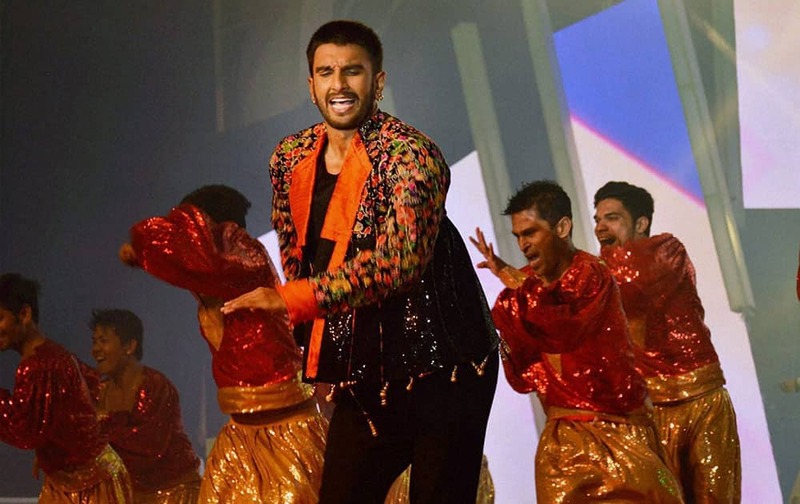 Bollywood actor Ranveer Singh performs during Saifai Mohotsav. Bollywood actor Saif Ali Khan performs during Saifai Mohotsav. Bollywood actor Arjun Kapoor performs during a cultural program at Saifai Mohotsav. Bollywood actors Ayushmaan Khurana and Sonakshi Sinha perform during Saifai Mohotsav in Saifai. 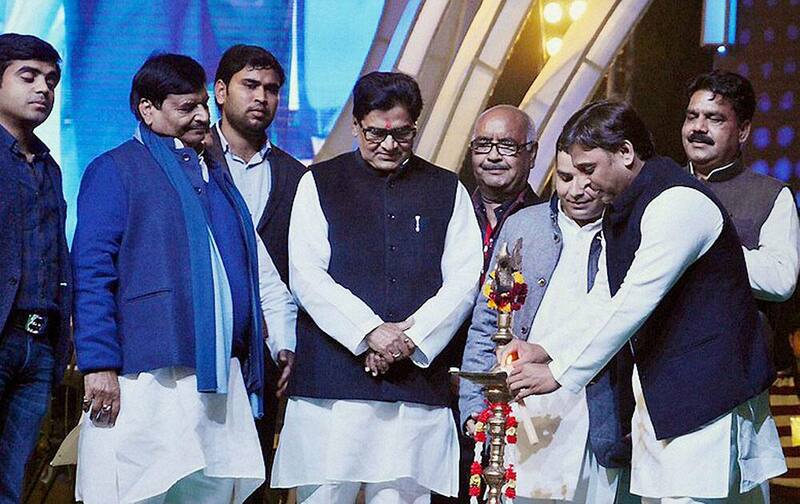 Chief Minister of Uttar Pradesh Akhilesh Yadav lighting lamps as MP Ram Gopal Yadav, Shivpal Singh Yadav and others look on during a cultural program at Saifai Mohotsav in Saifai. 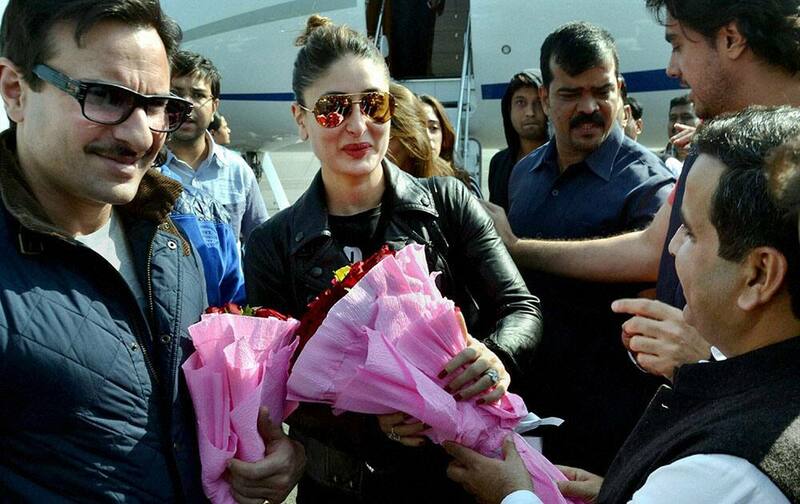 Samajwadi Party MP Dharmendra Yadav receives actor-couple Saif Ali Khan and Kareena for Saifai Mahotsav in Saifai.